One out of three adults over 65 fall every year. Half of those falls involve injury. Falls have a huge cost, both in terms of dollars and independence. Tai Chi has been recommended as a “Best Practice” to prevent falls for older adults. And even if you have a fall (because we cannot eliminate all falls) by doing Tai Chi you lessen your chances of having an injury. If you are interested in becoming an instructor, would like a Tai Chi demonstration, or have any questions call Chris at 402-393-6911 ext. 166 or ccj@taichibalance.org. If you are interested in a class check out the schedule and check with the person listed as Contact to see about joining the class. You want to wear comfortable clothing and flat or tennis shoes . 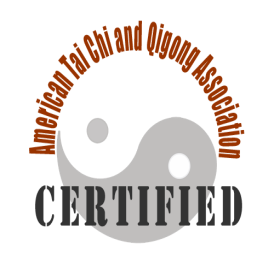 We are an affiliate of American Tai Chi and Qigong Association (ATCQA). Beth Dankert Babb, OTR/L Friendship Program, Inc.